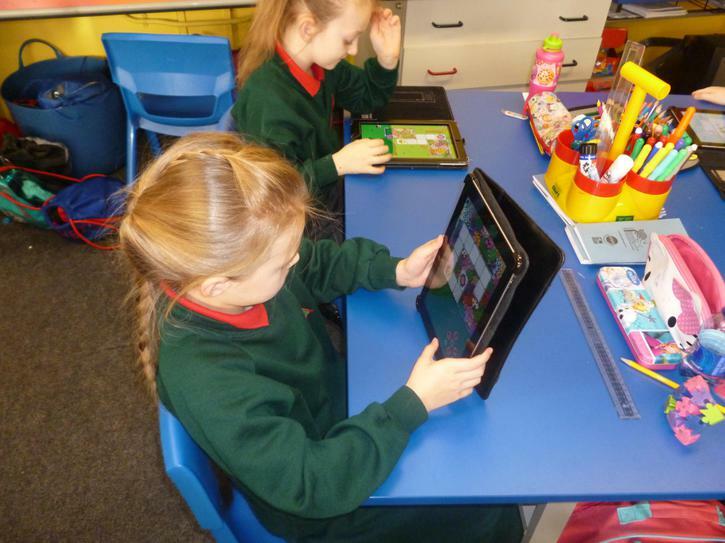 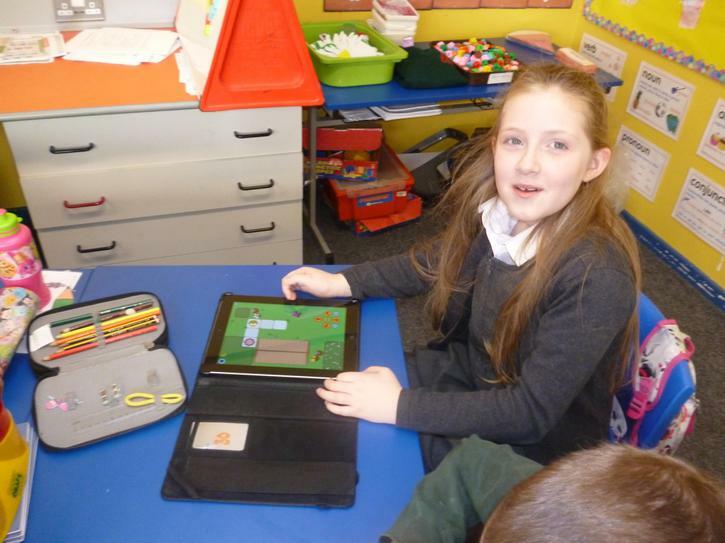 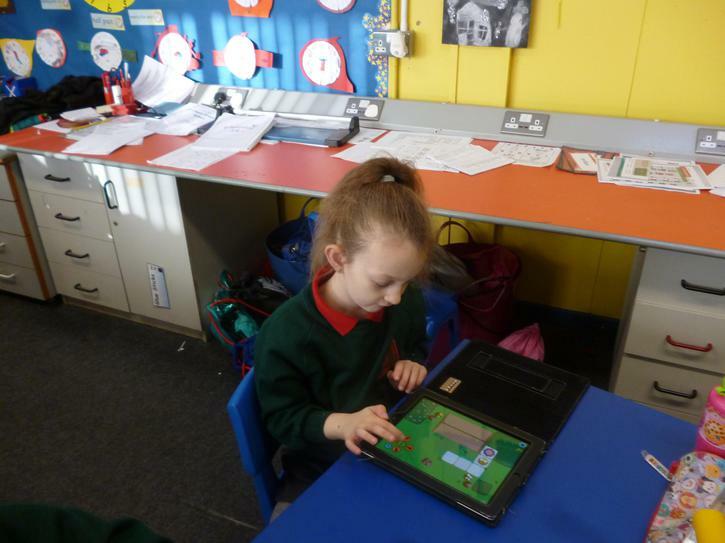 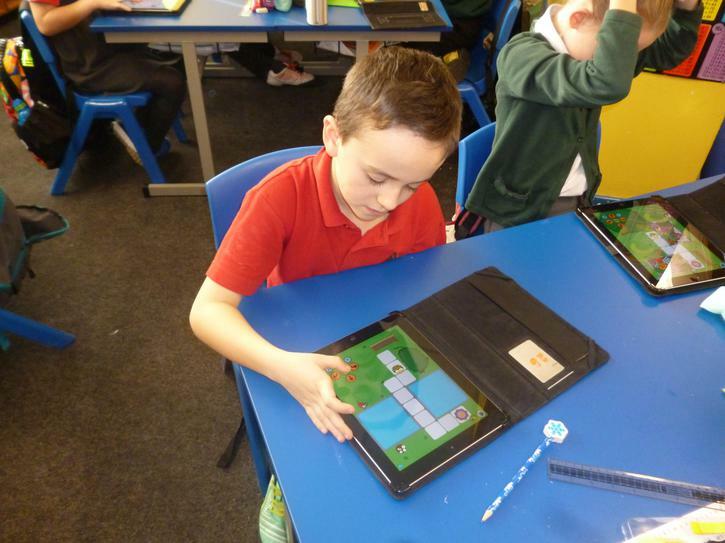 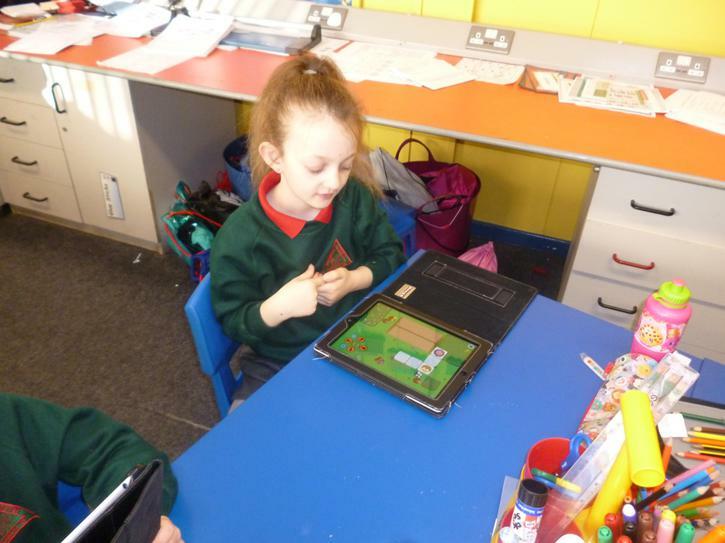 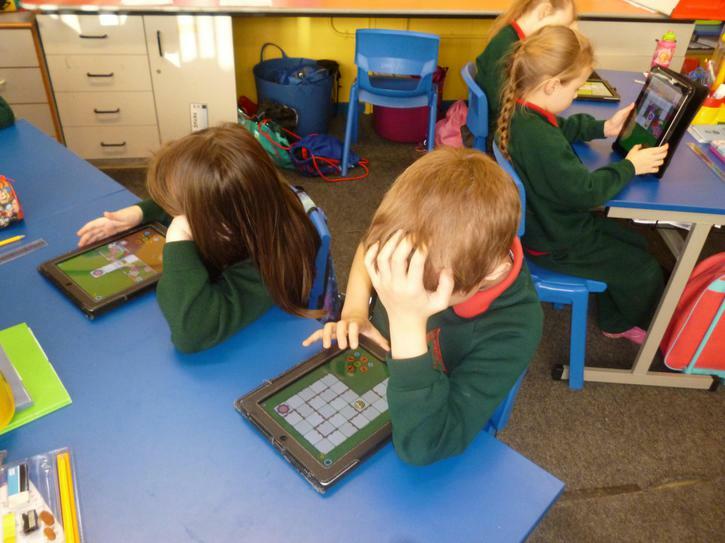 We used the ipads to programme BeeBot to travel from one place to another giving him commands. 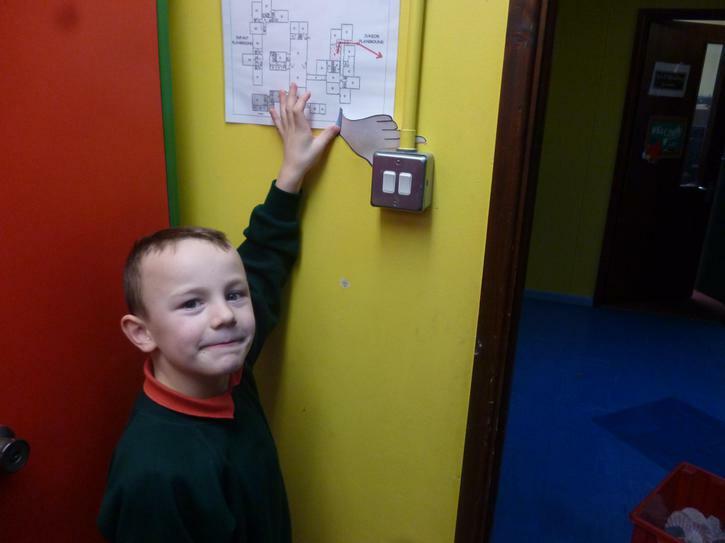 It's not as easy as it looks, deciding if it is a left or right turn and how many degrees he has to turn!! 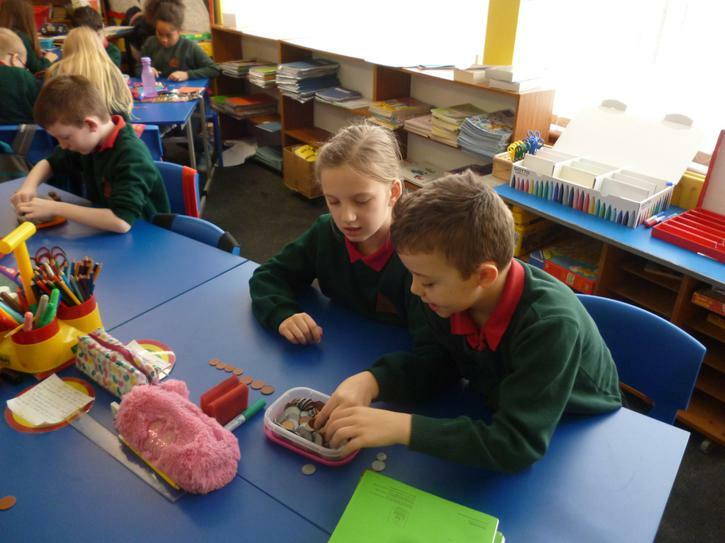 Money, Money, Money. 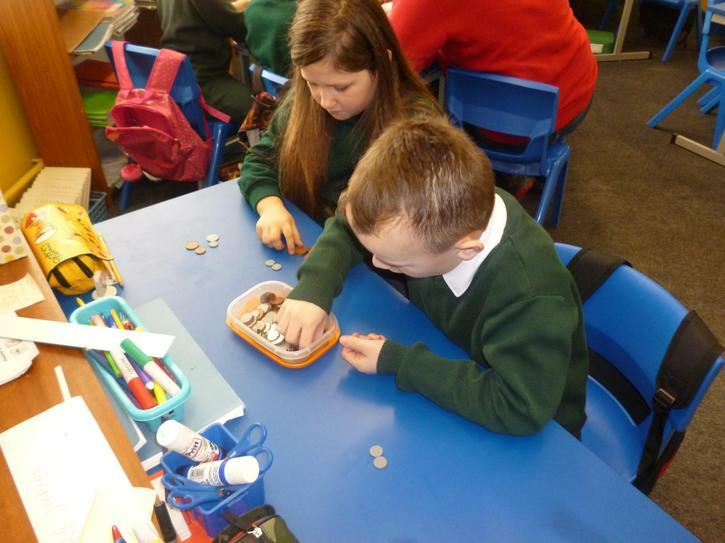 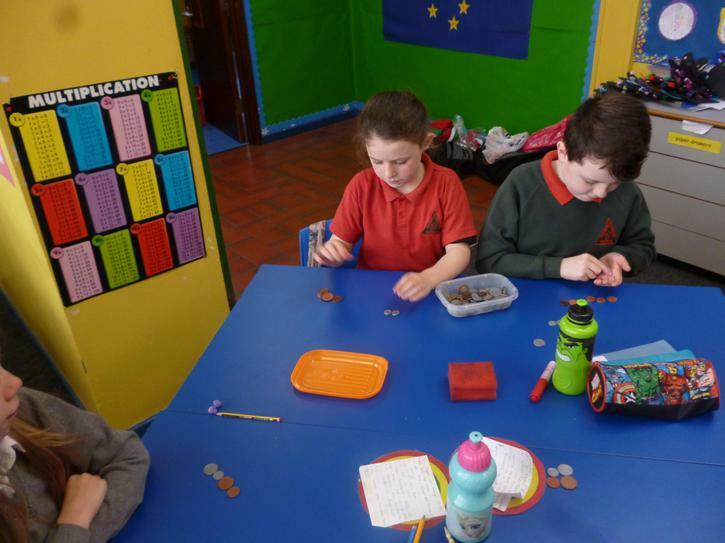 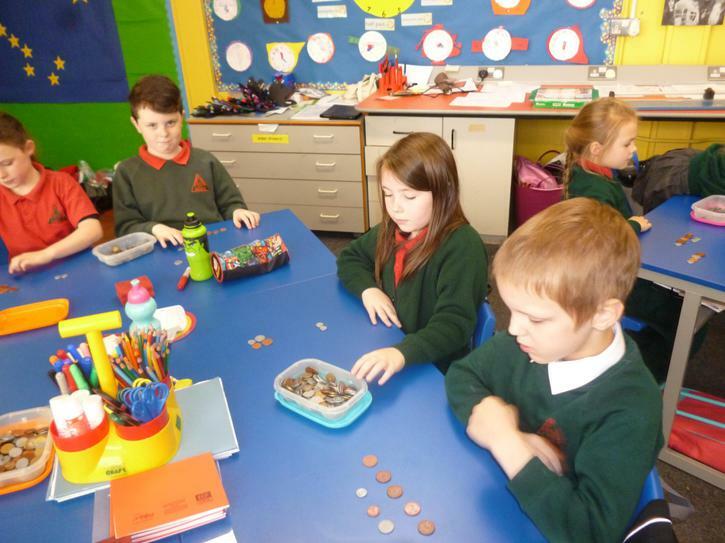 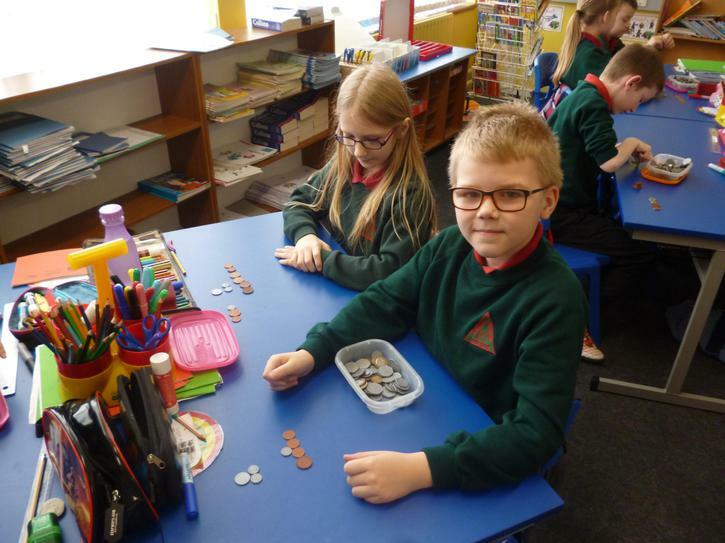 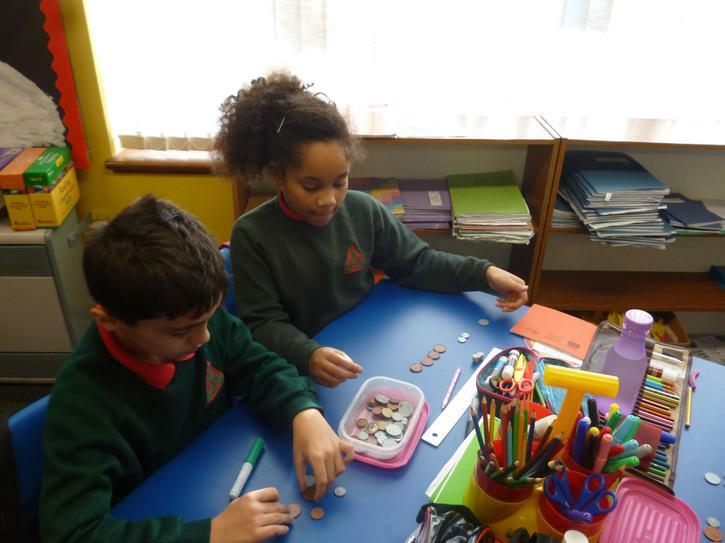 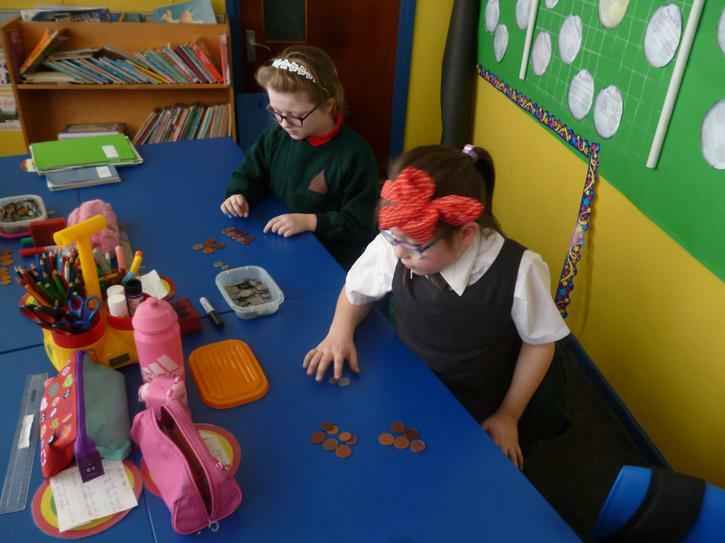 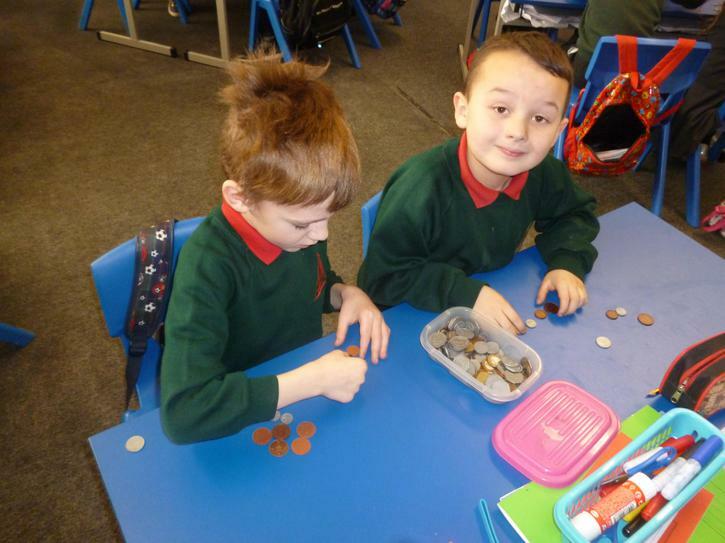 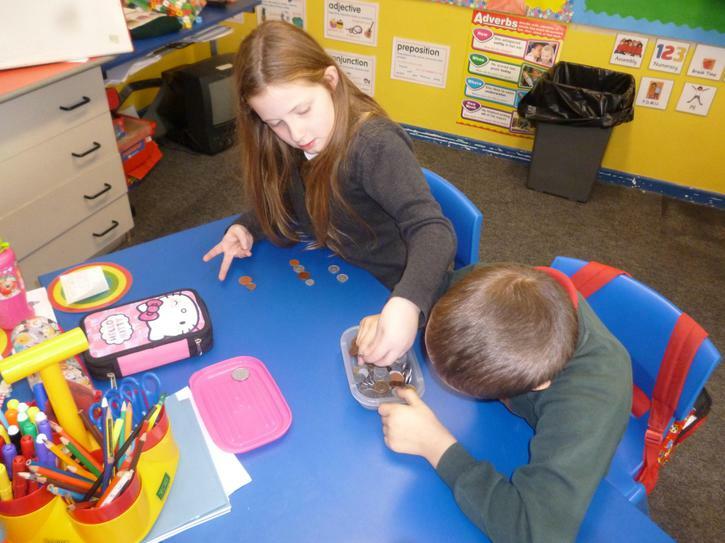 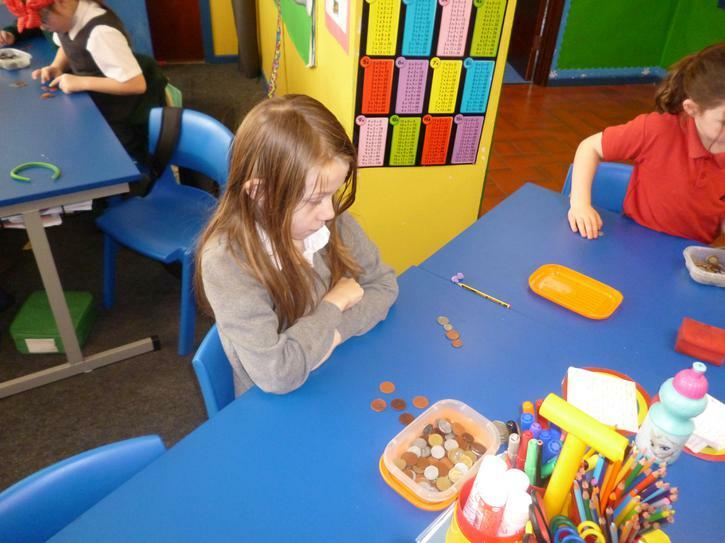 We are learning about the value of coins and how to make up amounts of money using the least amount of coins. 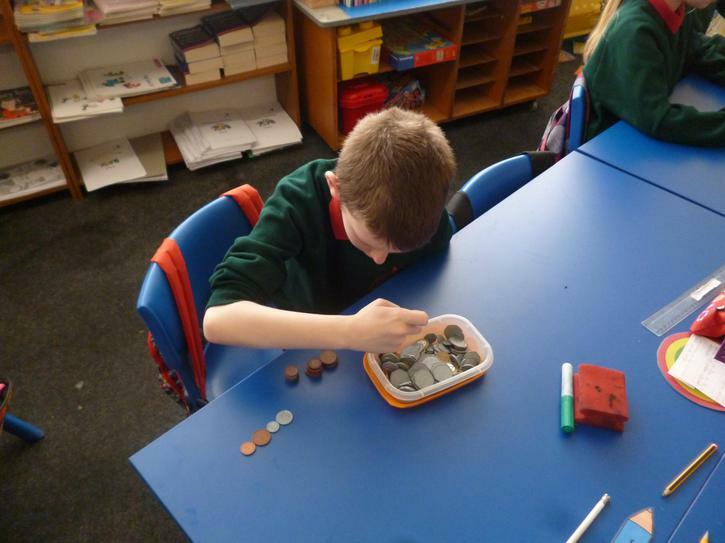 We will also be learning to find amounts of and give change. 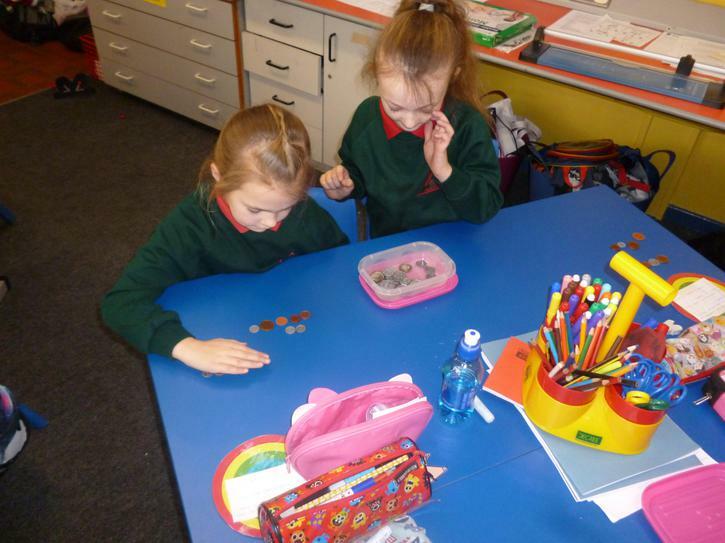 Remember if you are out shopping, try to work out the total cost and change you should get!! 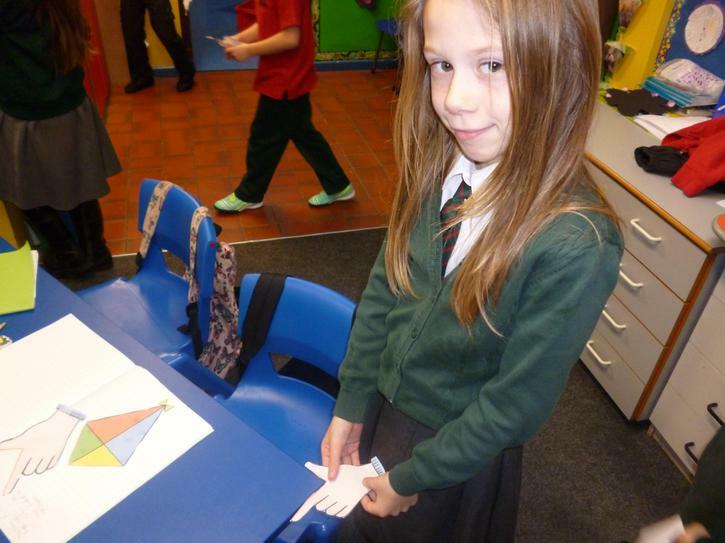 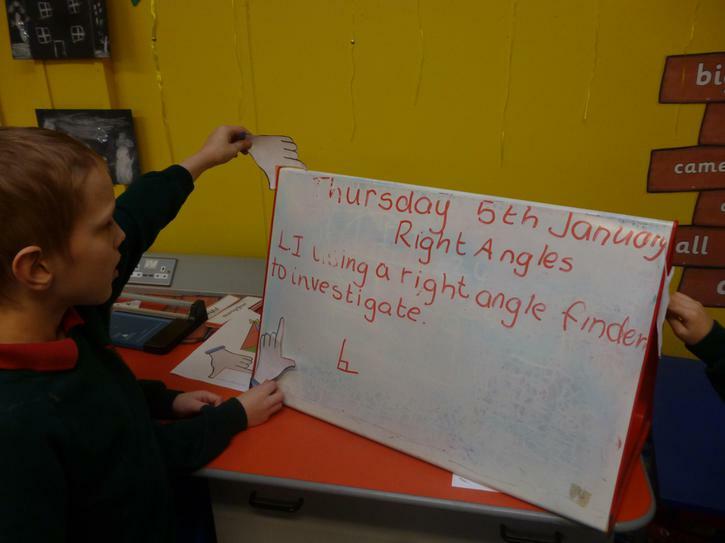 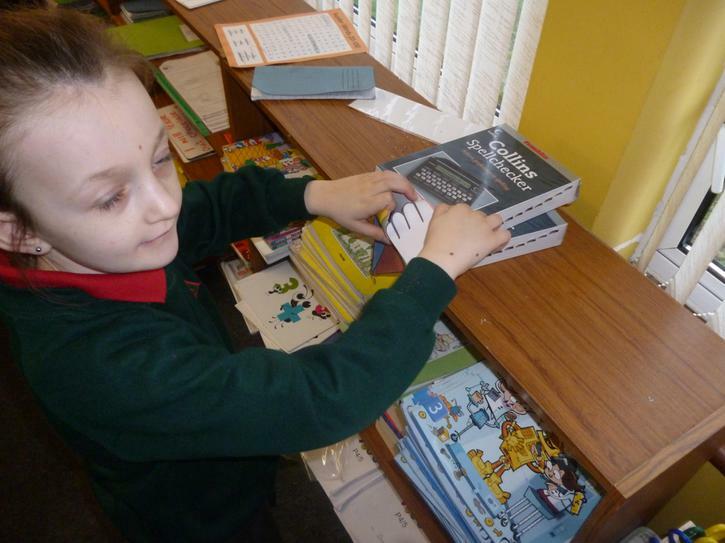 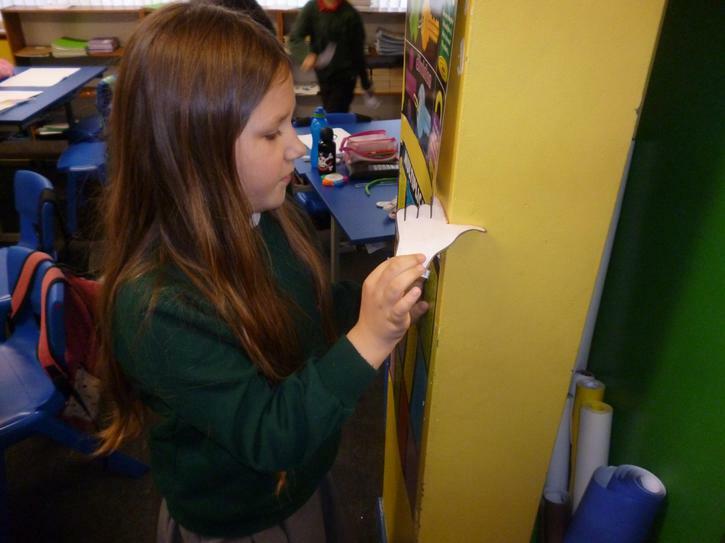 During this term we will be investigating right angles and how we can identify them. 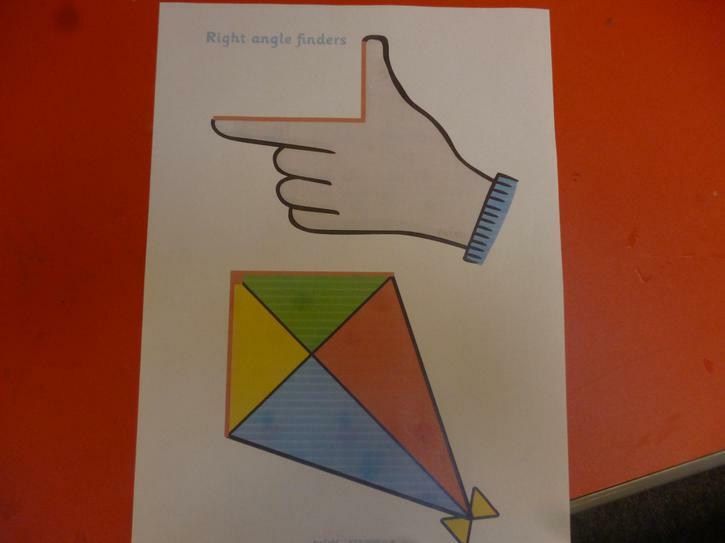 We used our right angle finders to identify right angles. 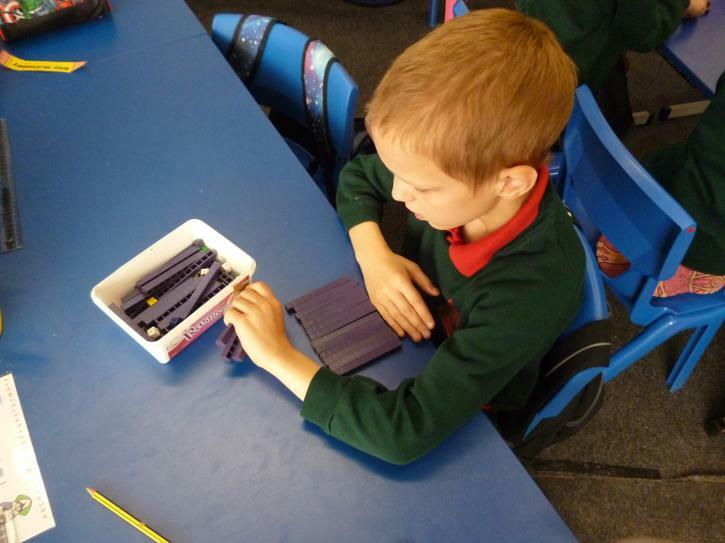 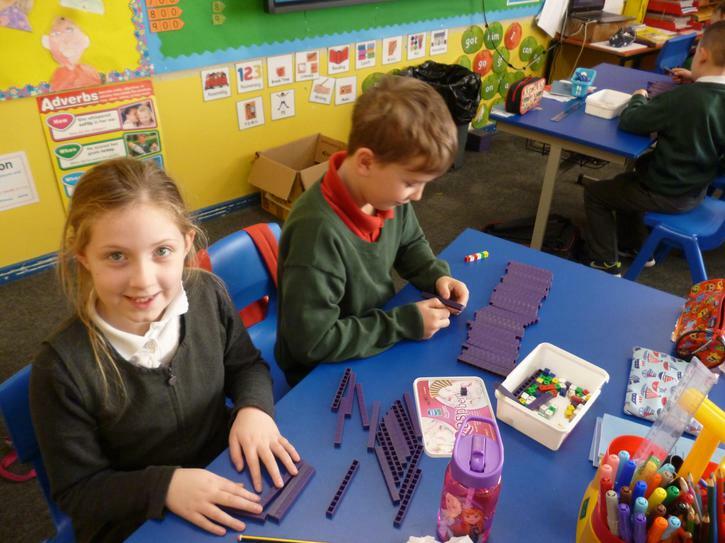 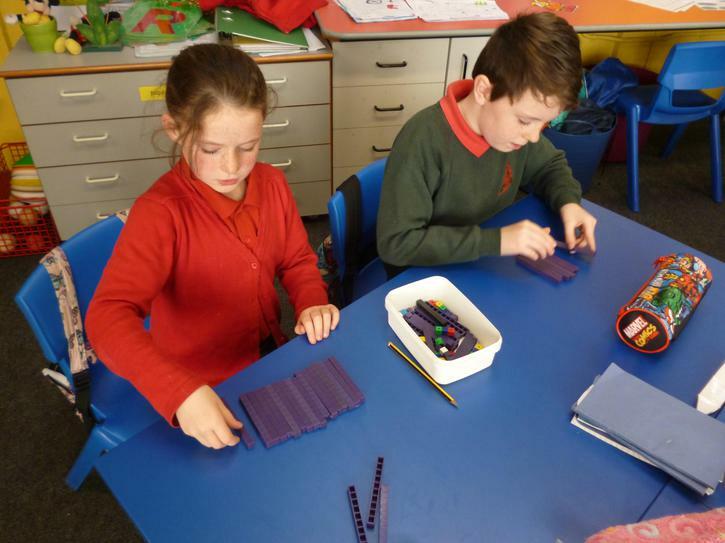 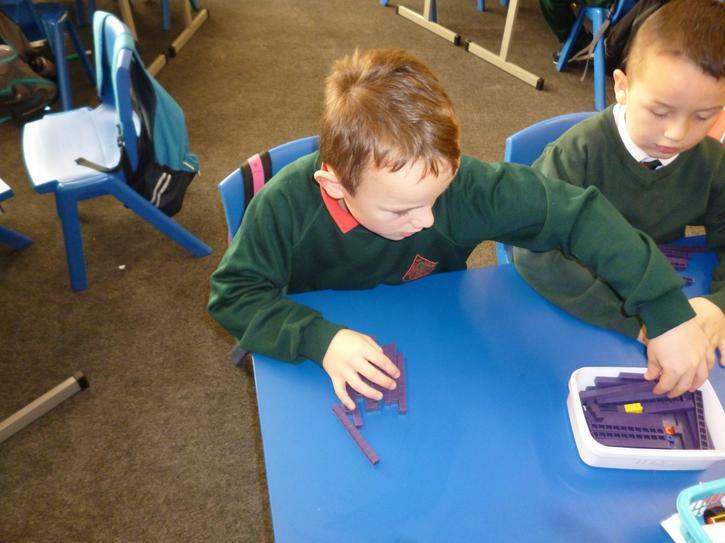 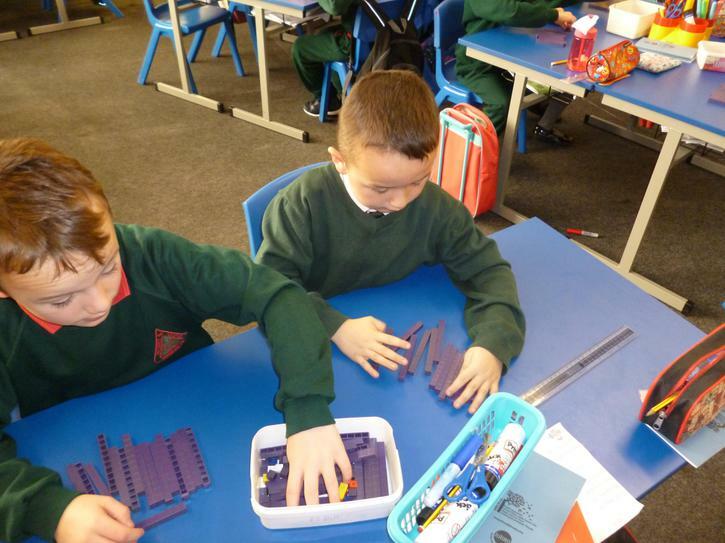 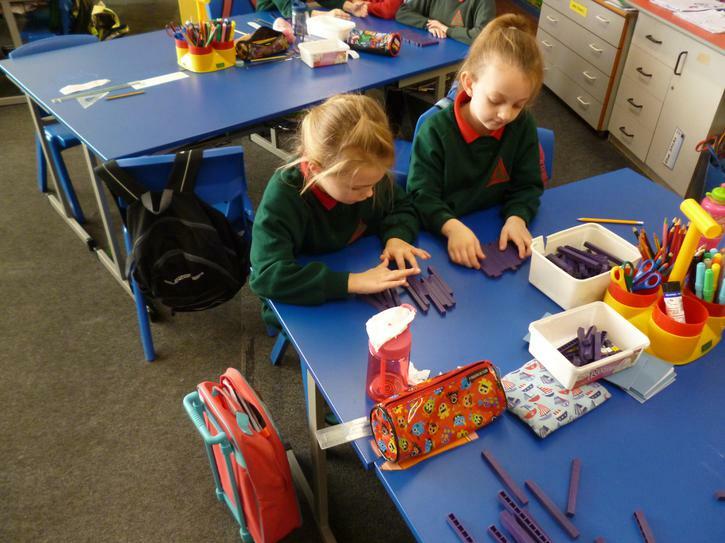 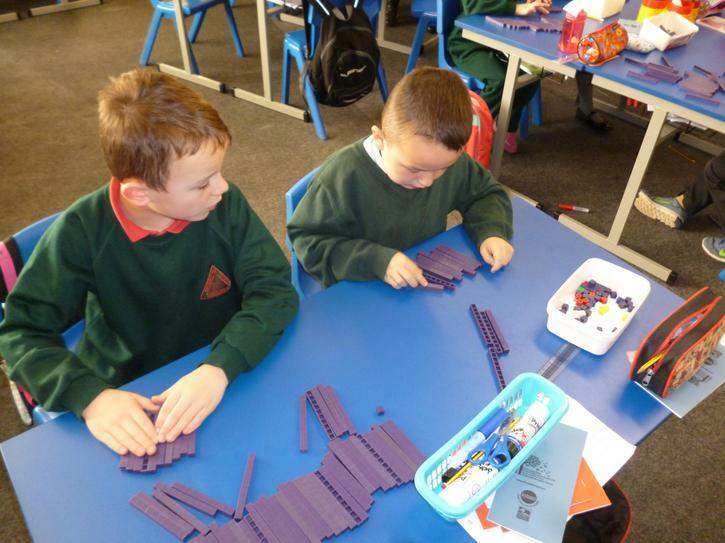 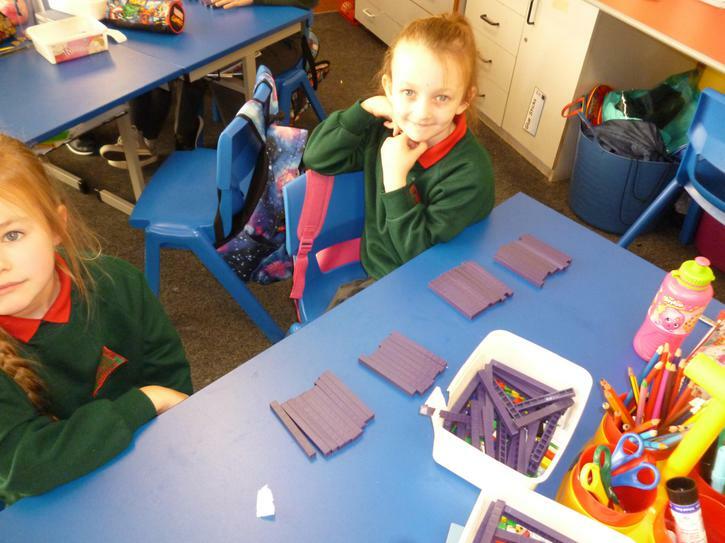 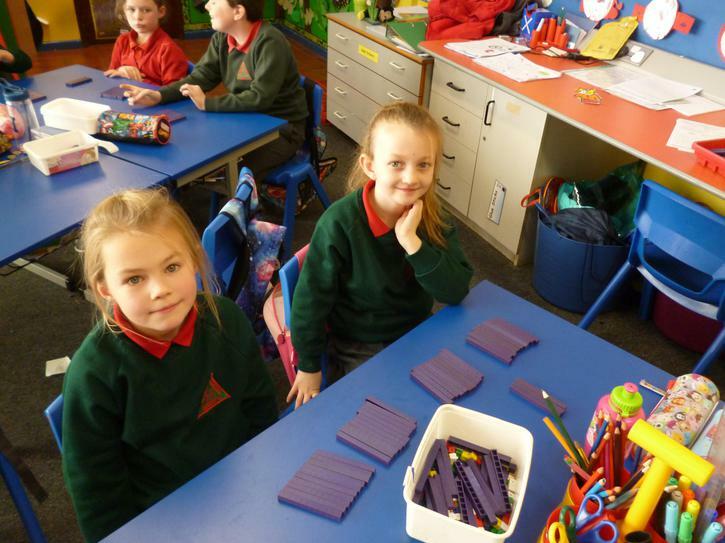 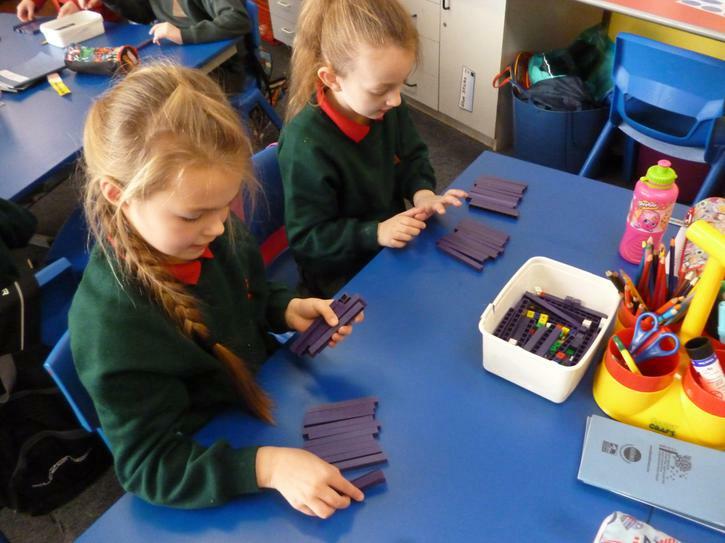 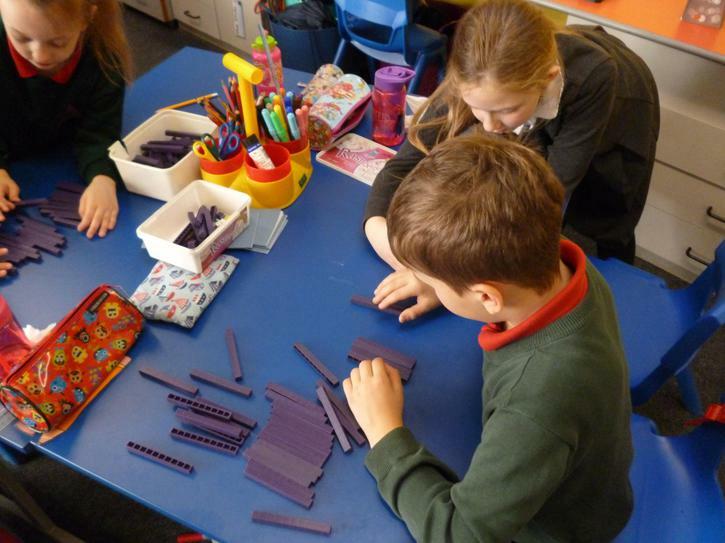 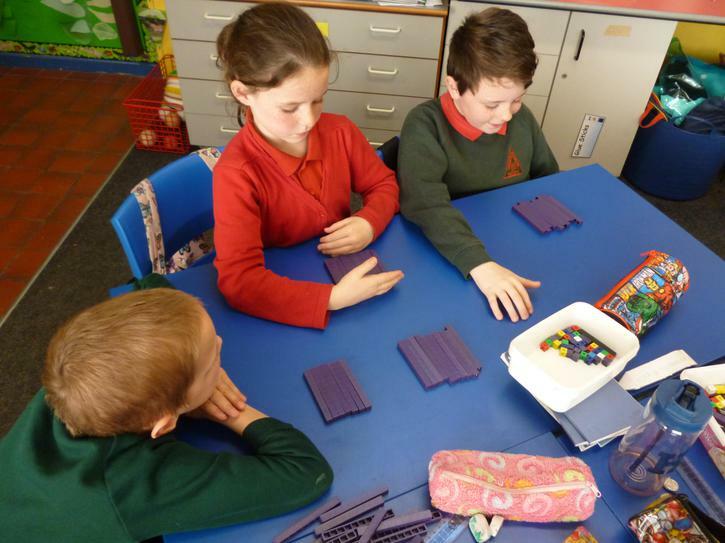 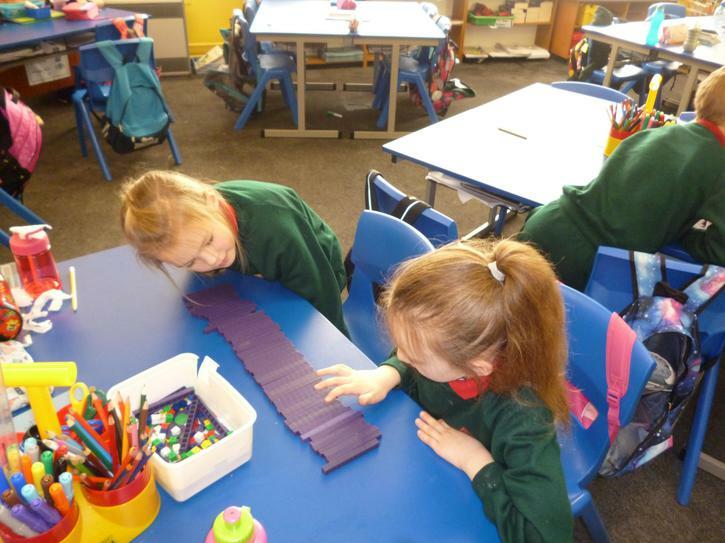 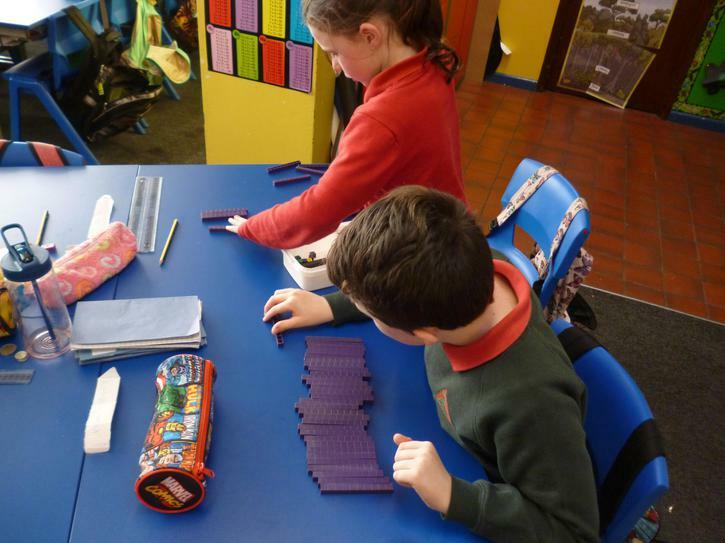 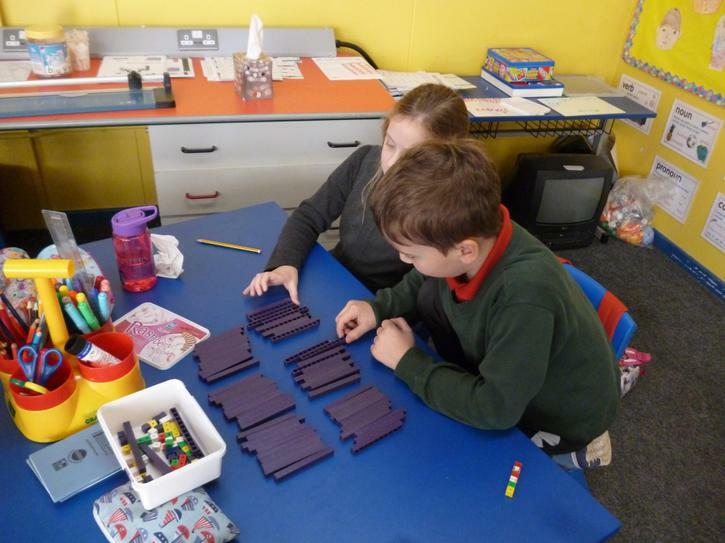 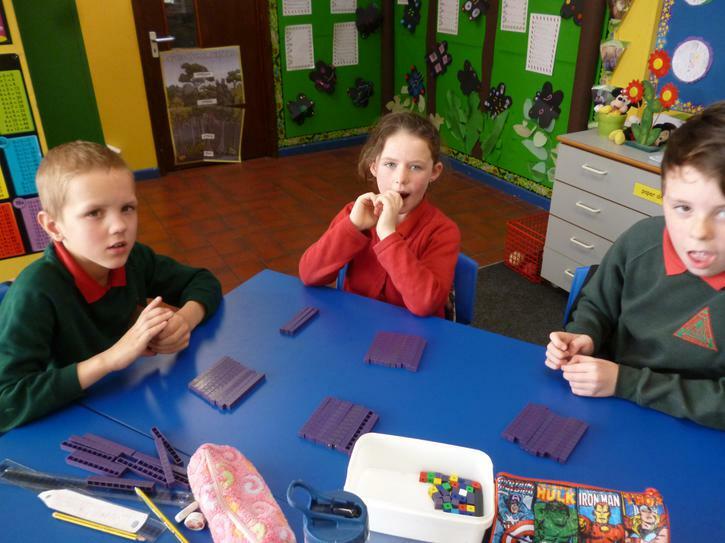 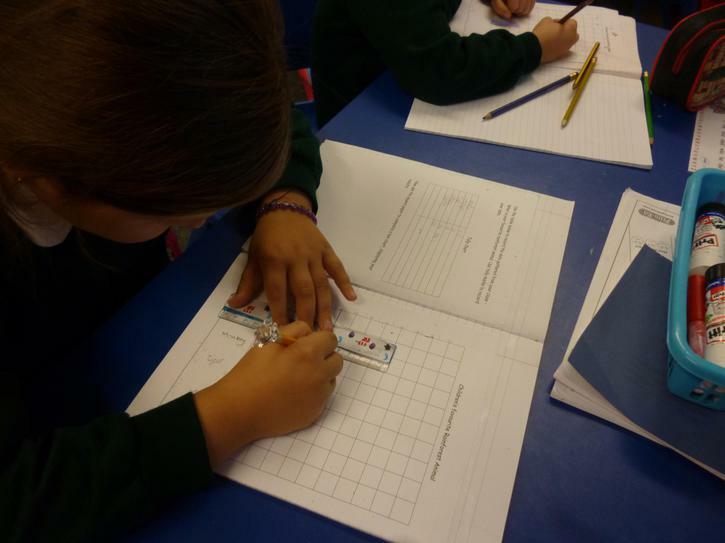 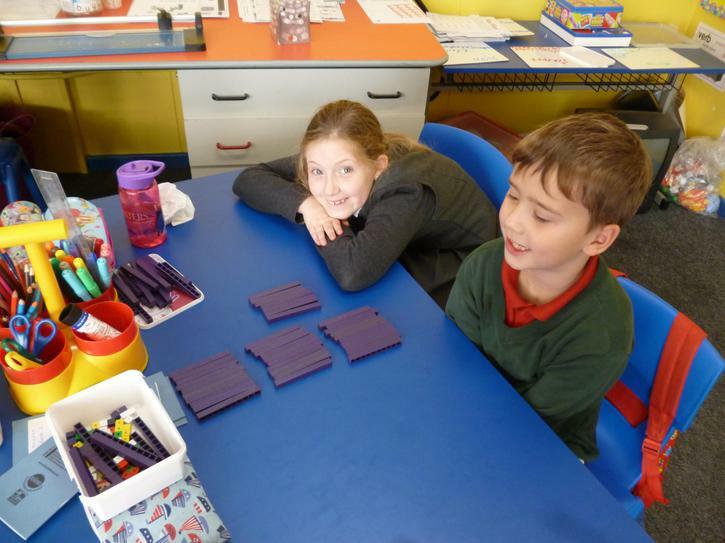 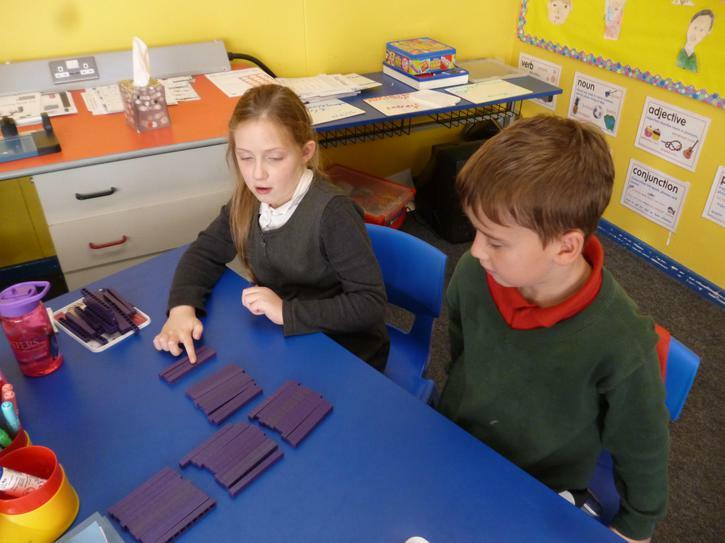 P4 have started looking at Hundreds Tens and Units. 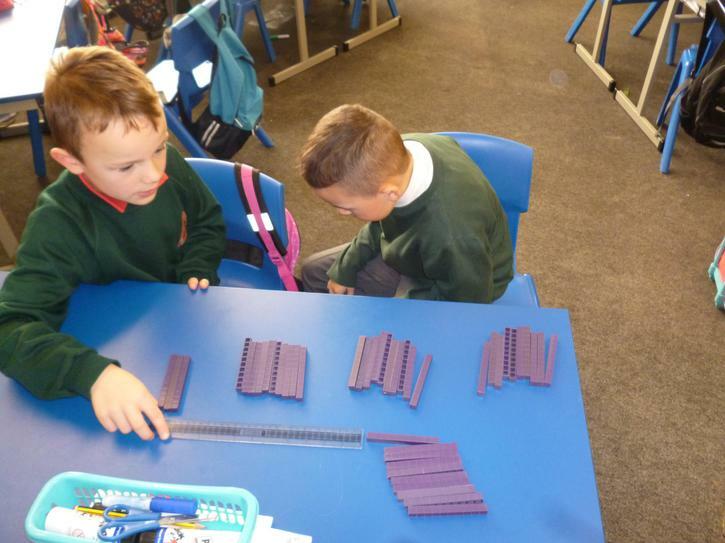 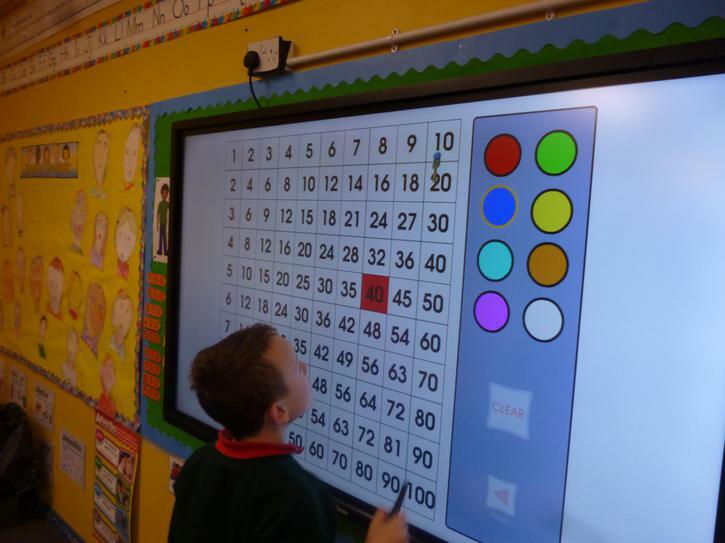 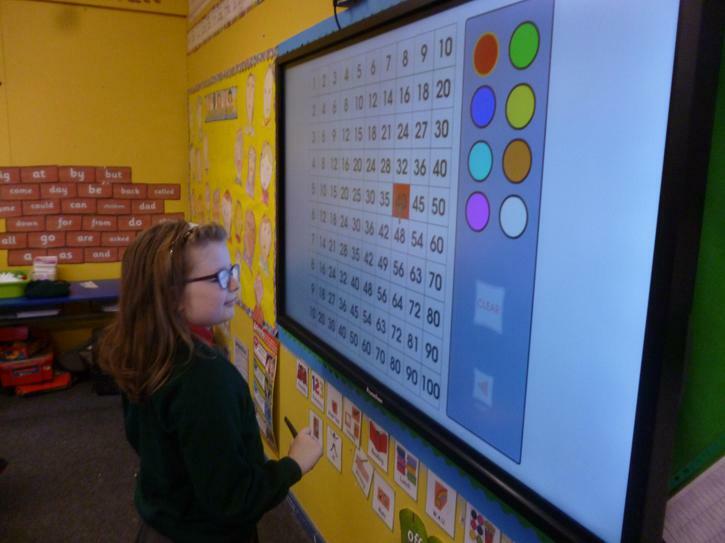 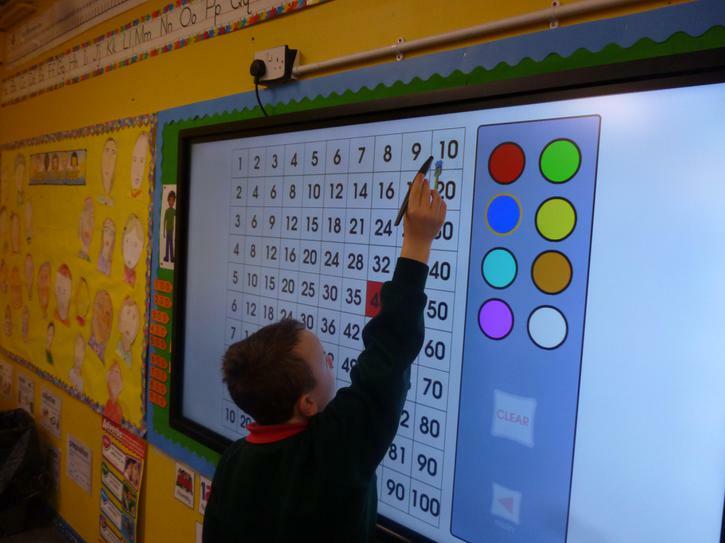 We were using the equipment to investigate different numbers. 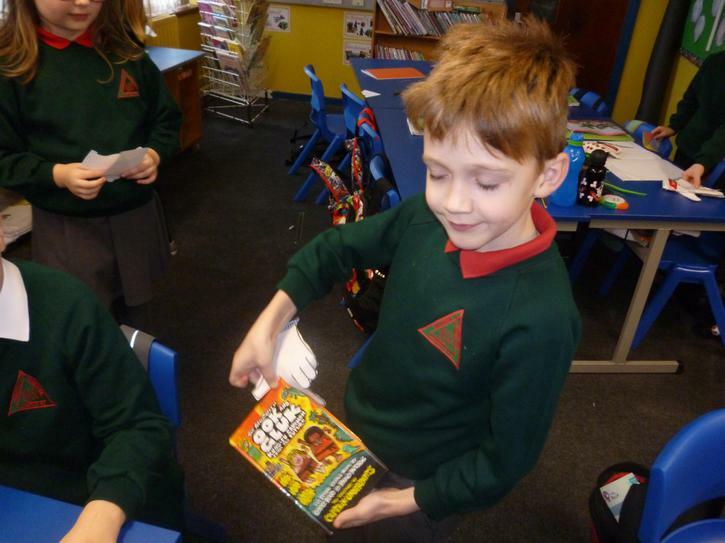 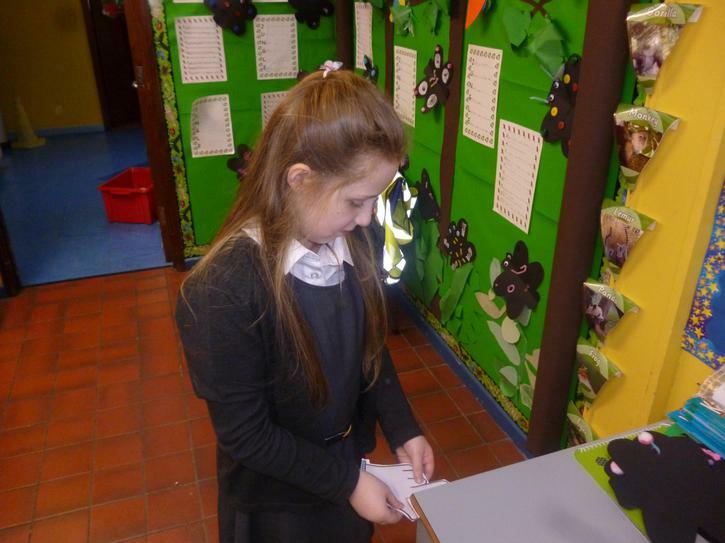 We started our Data Handling Topic in Numeracy by asking our peers their favourite animal in the Rainforest. 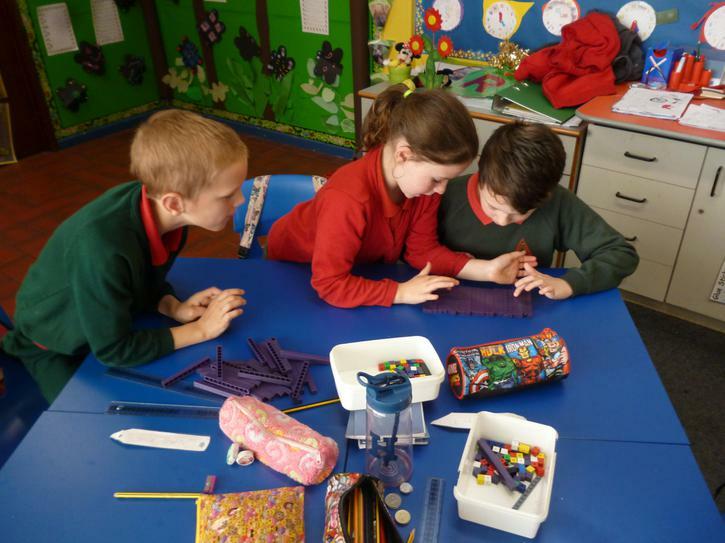 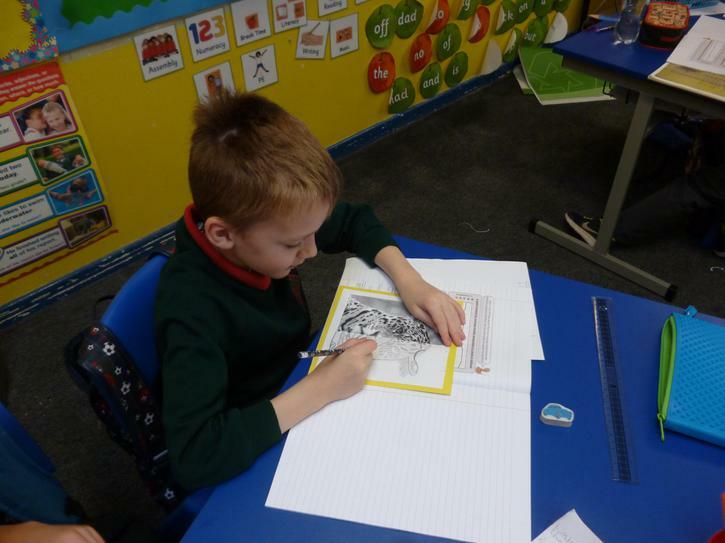 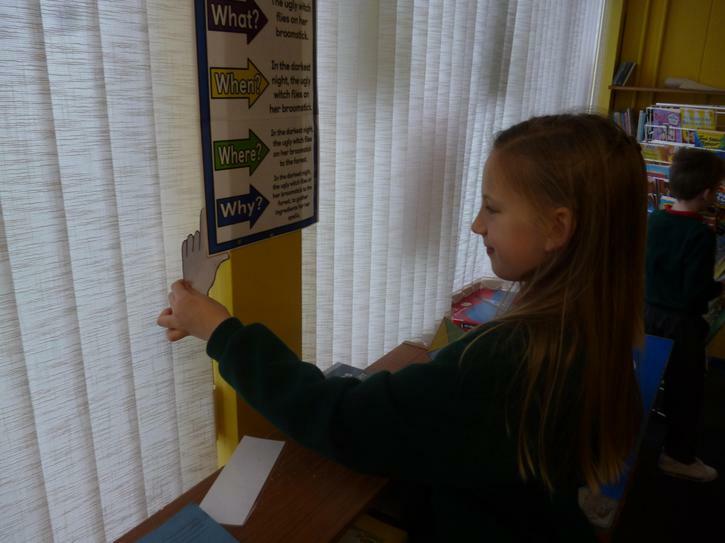 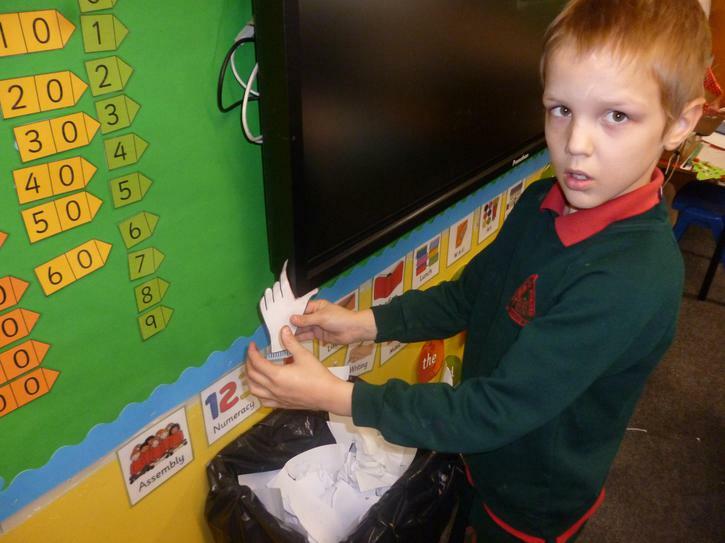 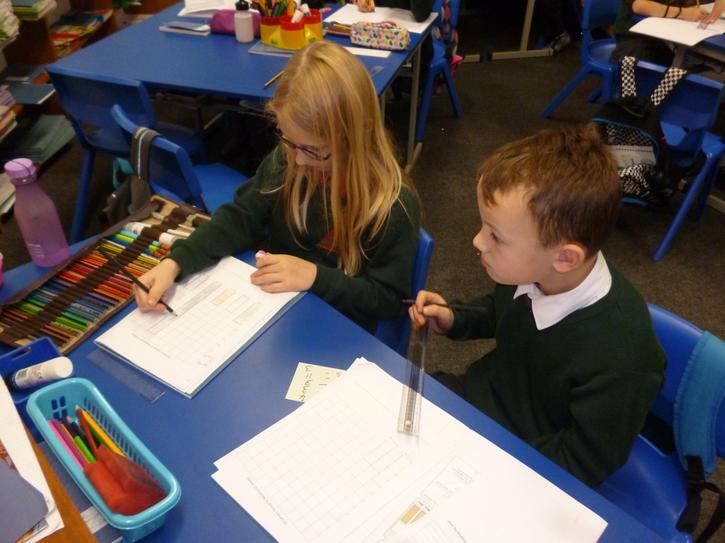 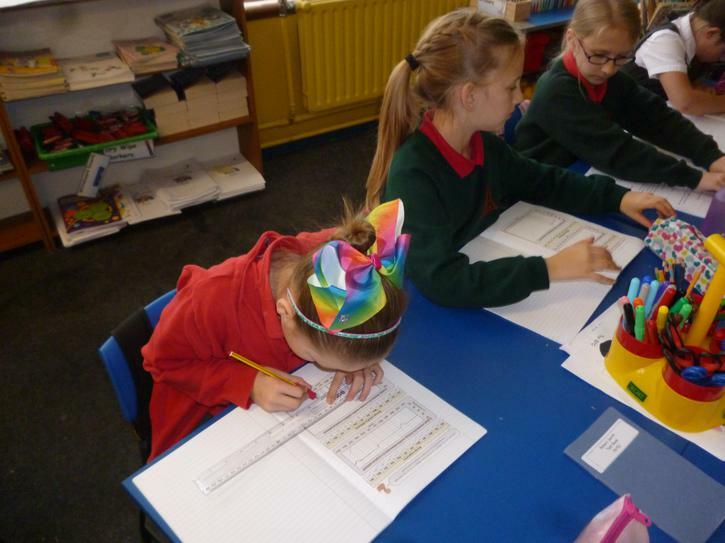 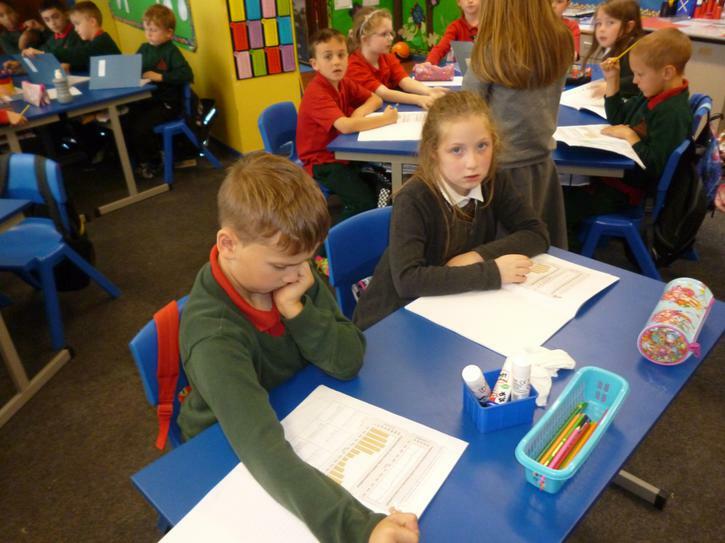 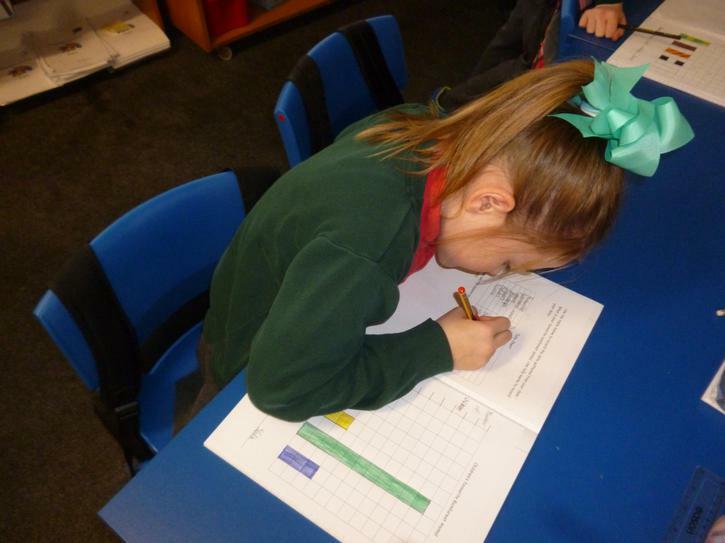 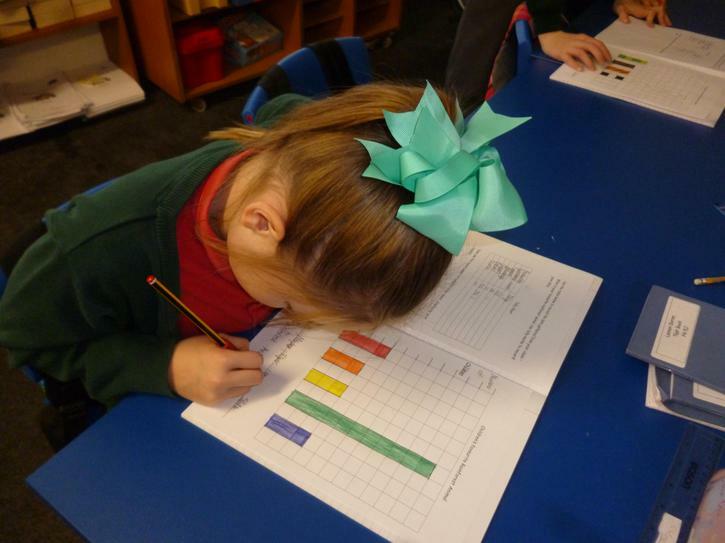 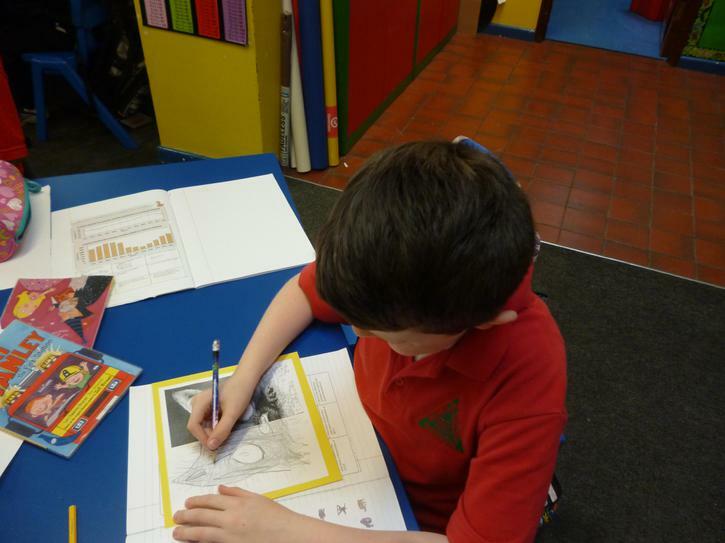 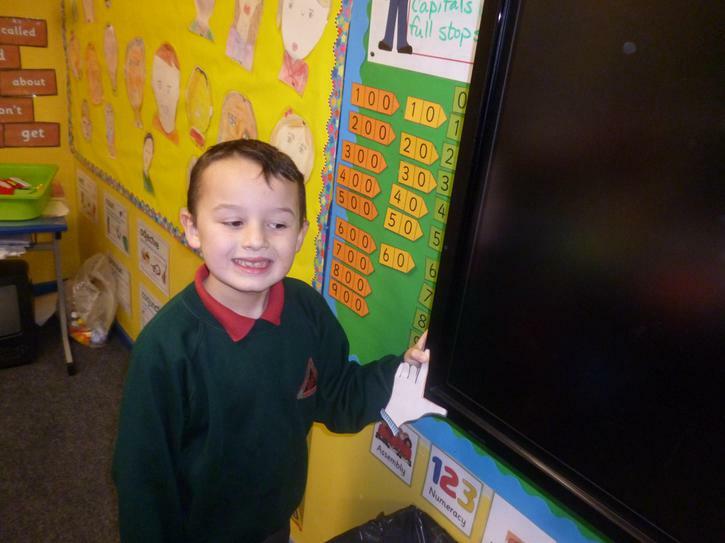 Once the data was gathered in our tally charts we transfered the information into a chart. 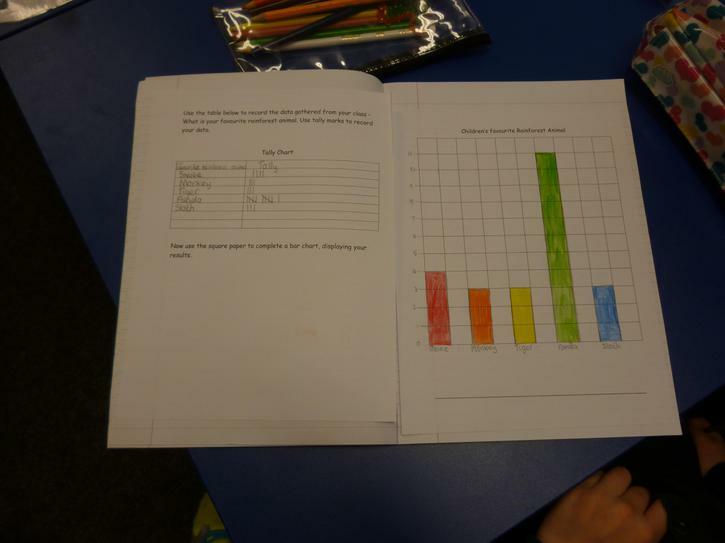 We must remember to give our graph a title and label the axis! 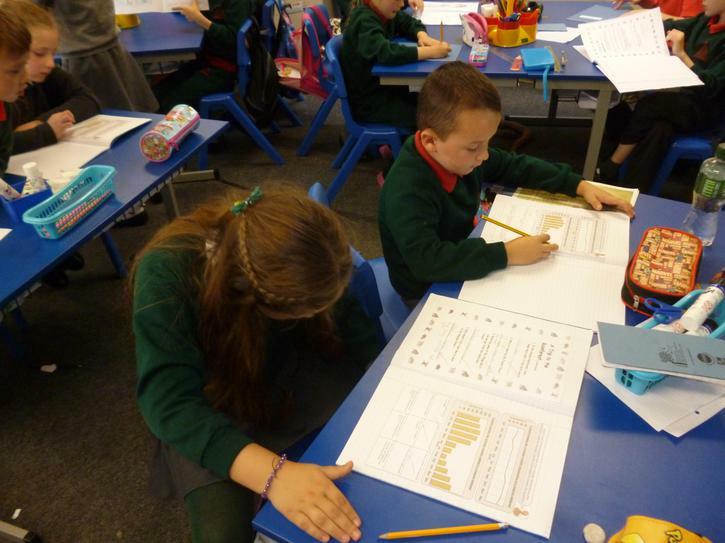 We looked at graphs based on data gathered from temperature and rainfall in a rainforest to answer questions.